Grandparents were invited to Pool Academy for a ‘delicious’ Christmas dinner prepared by the school chef. A plate packed with festive vegetables, stuffing, meat and pigs in a blanket were served up to them by helpful students from Years 7-10. The grandparents were shown to their seats at 12pm in the main hall which was decorated with a large Christmas tree. There was festive music playing and everyone was given a cracker. Once the crackers had been pulled everyone was encouraged to wear their paper hats and were heard telling bad jokes. The Christmas dinner also provided an opportunity for some of the grandparents to see the school for the first time. 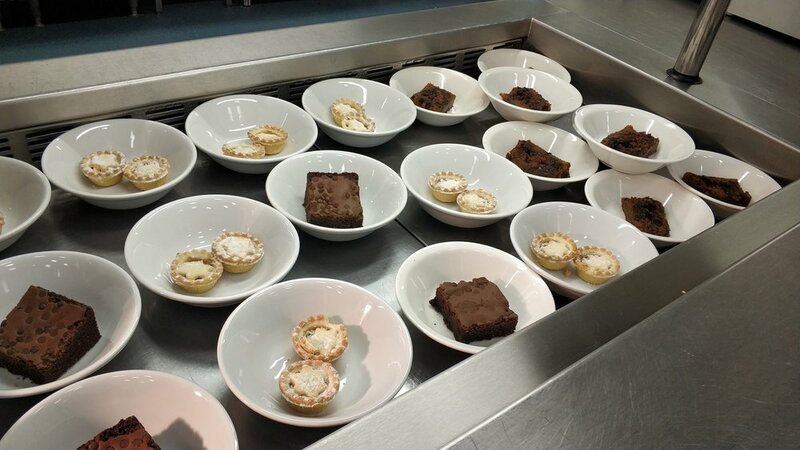 Phil Jones, Head of Academy Services, said "The Christmas dinner was really appreciated by the grandparents who were all very complimentary of the food and school. “It was great at this time of year to be able to spread a little Christmas joy throughout our wider community. “A big thank you needs to go out to our amazing kitchen team, for preparing such a feast as well as our Christmas dinner for staff and students." One pair of grandparents wrote to the school afterwards saying: “Thank you all so much for a lovely lunch on Wednesday, perfectly served by our lovely granddaughter.